These past few days I have been spending more on skin care products and less on cosmetics. I believe that it always better to start on a good canvas for your makeup rather than topping your face with tons of concealers and foundation. 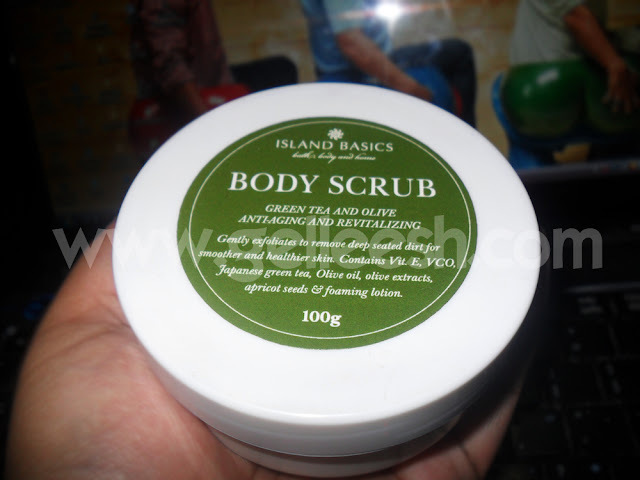 When I was in college, I use to have this regular Body Scrub and Bleaching session at Templora's Dermatologica, but if I can have my Body Scrub by myself, for less and in the comforts of my own home why not, right? But I was not much of a skin care buff back in college unlike now. I have recently been addicted with the Island Basics brand. Why you ask? Well, aside from the fact their products are inexpensive, they're also organic. Something to love, right? The packaging is simple and may come in white or transparent. I failed to take a picture of it the first I got hold of the scrub. 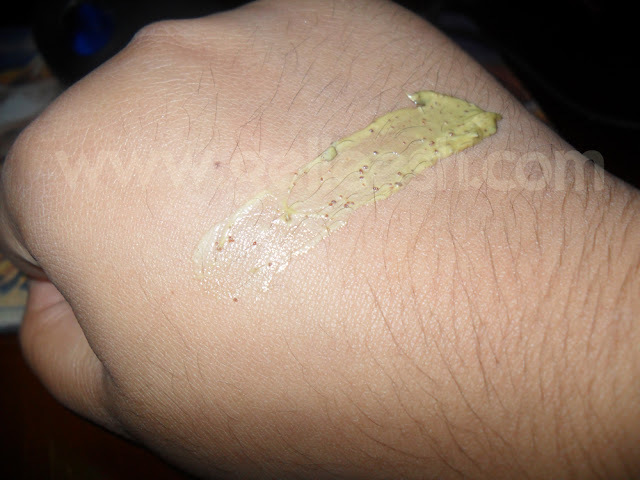 This particular scrub has Japanese green tea leaves on top of it and it kind of looks like chocolate. Tempting, indeed. Aside from the presentation, I also loved the scent. There's something about the minty green tea scent that tells you it really does the job well. While using, you can really see and feel the apricot seeds which does the scrubbing and exfoliating part. It has claims of being anti-aging and revitalizing plus it won't dry up your skin for it contains a foaming lotion to still keep your skin moisturized. 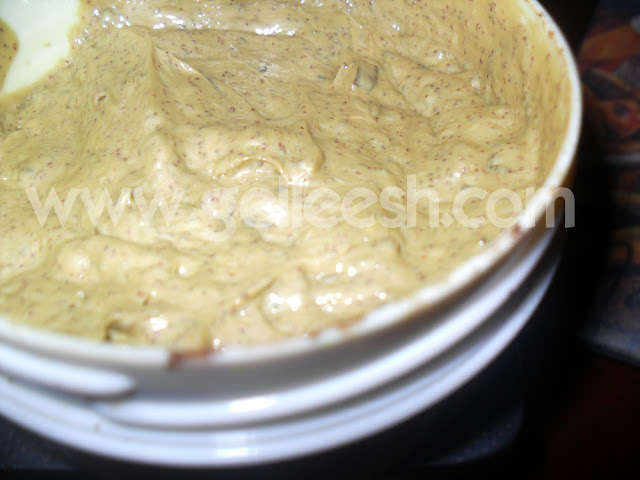 It will leave your skin feeling squeeky clean, exfoliated and moisturized. I can't actually think of anything bad about this product. I mean, come on. It's inexpensive, organic and does the job. However, it doesn't give that super scrubbing with a big difference thingy. I mean, remember when you compare your skins and the other looks lighter after trying the product? It doesn't give that impression; but try touching your skin, you'd know it exfoliated. I love this product so much. For only P150 you get 100g of product. Something worth purchasing over and over again. I'm giving it a 10/10. Hi Gellie! Glad you liked the kimono. I got it from Robinsons Forum for less than P500. Hey, I wanna try that product too. Never used an organic body scrub. So, where can I find it? Great share! Would love to try it out myself! I so love scrubs!will look for it in the market..